Lisa Jey Davis is a certified Lagree Method instructor, a classical Pilates instructor (Mat, Reformer and Full Apparatus), and a Yoga instructor. Not only does she lead Pilates and Core-based workouts regularly throughout the Los Angeles area, but she works one-on-one with clients via Skype and in-person to conquer their health and fitness demons. (There is more information about that here.). To see her full Los Angeles based class schedule, scroll down. Her classes & sessions can be intense, rejuvenating (or both), and all are based on the principals of Pilates, or they are Core-Based (sometimes a little Yogic movement is incorporated as well). Lisa Jey offers these sessions at a wide variety of studios around the Los Angeles, CA area. 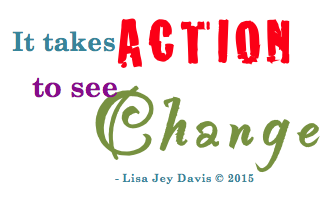 Schedule an in-person or Skype personal session with Lisa Jey by clicking HERE. Class schedules in Los Angeles, listed below. Lisa Jey’s Classical Pilates sessions (Mat, Reformer and/or Full Apparatus) are taught at Archer Pilates in Mar Vista, CA with private sessions also available at Sheppard Method Pilates in Westwood, CA. These AWESOME-SAUCE sessions will tone your body, lengthen and align your muscles and spine, as well as strengthen your core and define your abs. If you’ve ever been injured or to Physical Therapy, THESE are the “Pilates” classes patients are generally referred to as a great step back to full health. Many studios hang the shingle of “Pilates” on their door, but only traditional, classical pilates will not only make sure you’re rehabilitated, but it will get you moving properly and set you up to do other forms of fitness — well. Classical Pilates will get you fit and healthy. But just because classical Pilates is used to rehabilitate injured athletes and patients, does not mean you won’t get lean or fit! As you progress and do things properly, the intensity will be increased, and you’ll be fast on your way to doing “SNAKE” as pictured above! Lisa Jey offers one hour group classes, private and small group or duo sessions. 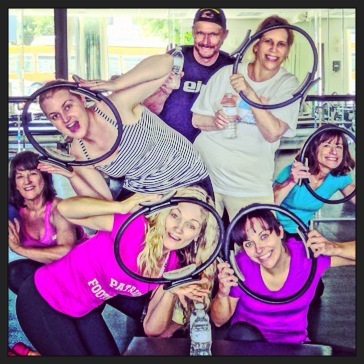 View up-to-date classes (because sometimes Lisa Jey substitute-teaches too) by clicking HERE. Private sessions only at this time. 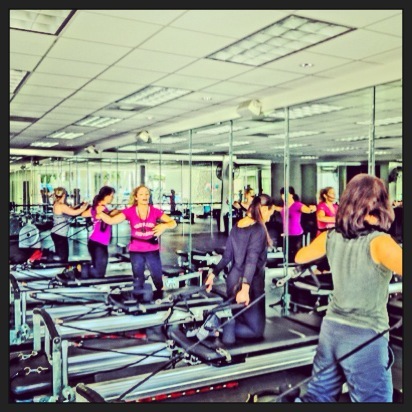 Contact us to schedule a private or visit www.sheppardmethodpilates.com. Lisa Jey also teaches a body burning and sculpting Lagree Method workout (pilates-style/core-inspired, but more like boot camp, without the shouting) at several studios around Los Angeles. In 45 minutes to an hour, this workout will burn out your booty, arms, abs and quads, and it’s all set to music! This method, founded by Sebastien Lagree, will essentially work every major muscle to fatigue and condition your body to efficiently burn calories and fat, and to stay fit and toned. If she is subbing at any of the 4 Pilates Platinum locations (Brentwood, Santa Monica, Venice & Hollywood) anytime soon, it will be on the schedule here. Or contact us to schedule a private! Lisa also currently subs Lagree Method classes and can conduct private or duo/small group sessions at all four Pilates Platinum locations: Brentwood, Santa Monica, Venice Beach and Hollywood. If you don’t find her on the schedule, feel free to reach out to them and request Lisa Jey for a session! GIVE LISA JEY A REVIEW FOR A FREE SESSION! Additionally, Lisa Jey guest teaches (Pilates, Yoga or Piloga classes and sessions) when traveling, at conferences, for corporate retreats and more. If you’d like to invite her to teach at your next event, please contact us here.